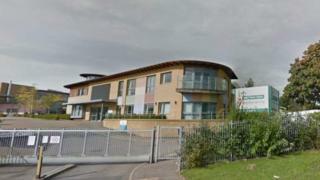 A specialist children's home run by a charity for the blind is to close several months after being put in special measures. The Royal National Institute for the Blind (RNIB) said it was not the right organisation to run Pears Centre for Specialist Learning in Coventry. The Care Quality Commission and Ofsted have both criticised the management of the home and on-site school. The RNIB said it would shut despite staff working hard to improve things. The site is made up of accommodation and a school for young people up to the age of 19. Rating the home as in adequate in May, the CQC said accidents, incidents and safeguarding issues were not consistently reported and investigated. Ofsted inspectors found last month that safeguarding practices were not effective and put pupils at risk of serious harm. In a statement, Eleanor Southwood, RNIB chair, said closing was a difficult decision, but the charity had not been able to satisfy Ofsted that adequate progress had been made since their previous in January. "The children and young people at the centre are our number one priority; they deserve the very best care and support," she said. "We've worked hard to put things right but we accept that we're not the right organisation to be running this highly specialised service for children and young people with complex health needs." Speaking to Tuesday's edition of In Touch, Radio 4's programme for visually impaired people, Ms Southwood admitted it was not the charity's finest hour. The RNIB has been facing a deficit of £12.6m in its latest accounts. Two hundred jobs have been lost and other services cut back. The school will close on 7 November. You can hear more about this story on BBC Radio 4 In Touch at 20:40 BST on Tuesday.